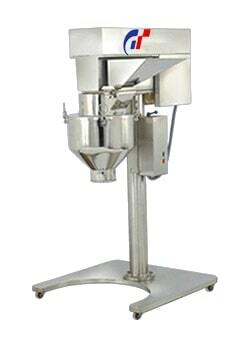 Designed for continuous wet or dry granulation. Beater drive equipped with reversible Switch. Output 50 to 200 Kgs./Hr. Rotor Assembly Diameter 250 mm. Approx. Motor 3HP. / 1440RPM / 3ph. Material Charging Height 1460 + 5 mm. Material Discharging Height 760 + 5 mm.